Love the article. 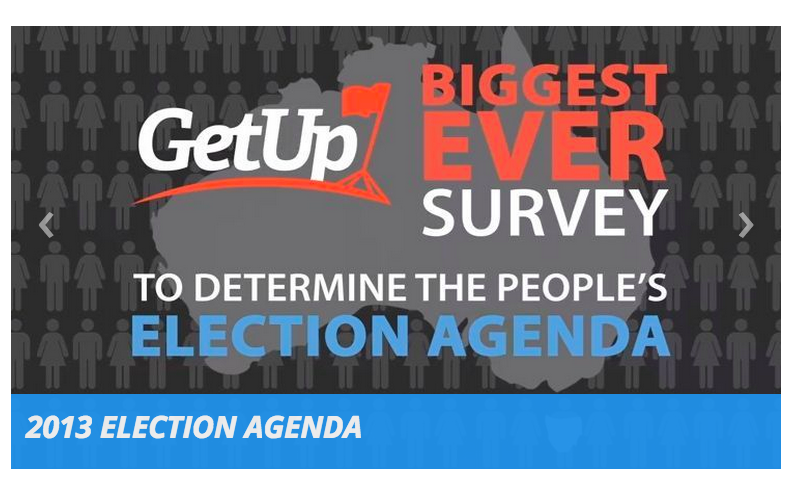 Just FYI, GetUp are doing the GetUp Live webcasts weekly, not nightly. We are going to use the webcast to talk about the issues of the past week and what to expect in the days leading up to the election. We wanted to clarify just to ensure our mates in the UK didn’t log on each day and wonder where we were. Thanks Rohan…will change the blog to reflect that. Great work so far. Really enjoying watching what you’re doing.